QDS Presto supports authorization using Apache Ranger. 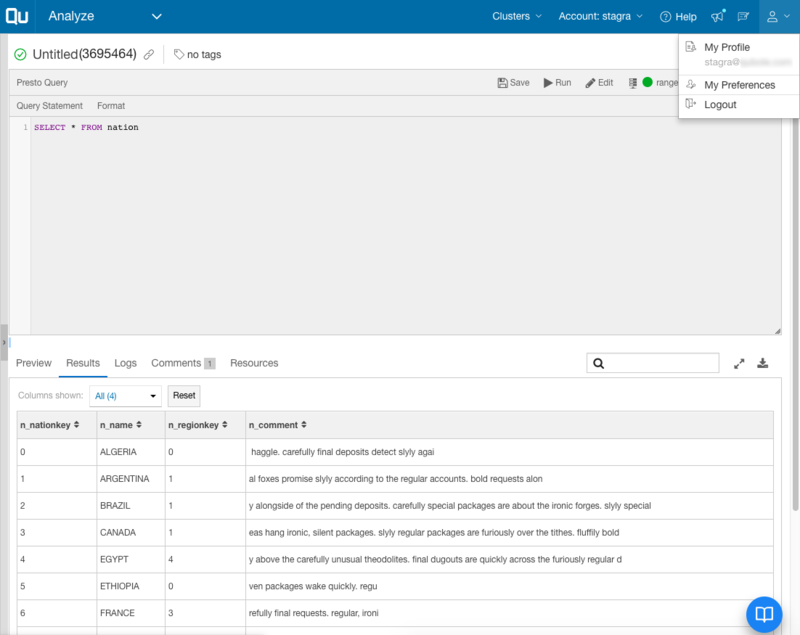 In addition to providing column-level authorization, Ranger provides additional features, including row-level filtering and data masking. 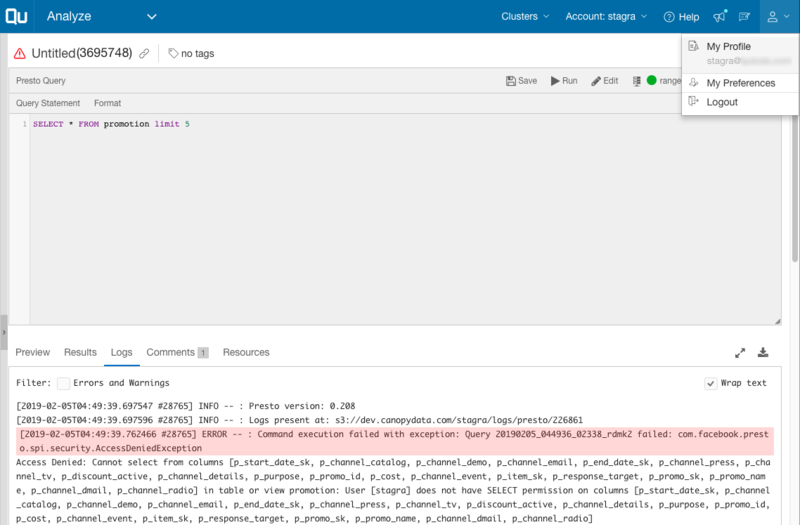 Ranger authorization works for the Hive connector in QDS Presto. 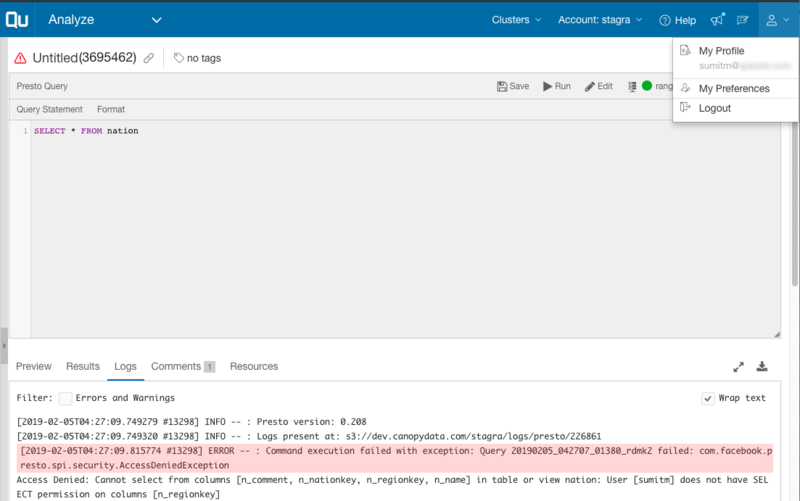 This section describes the Ranger features supported in QDS Presto and how to configure Ranger with Presto. 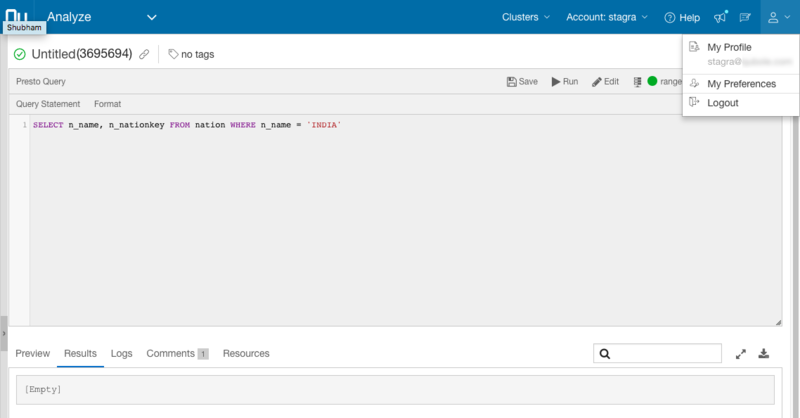 All forms of Hive Authorization are supported with the Ranger plugin: Schema level, Table level, and Column level. All Ranger policy constructs for authorization are also supported: Allow-Conditions, Deny-Conditions, Resource-Inclusion, and Resource-Exclusion. User Groups defined in Ranger are also supported. 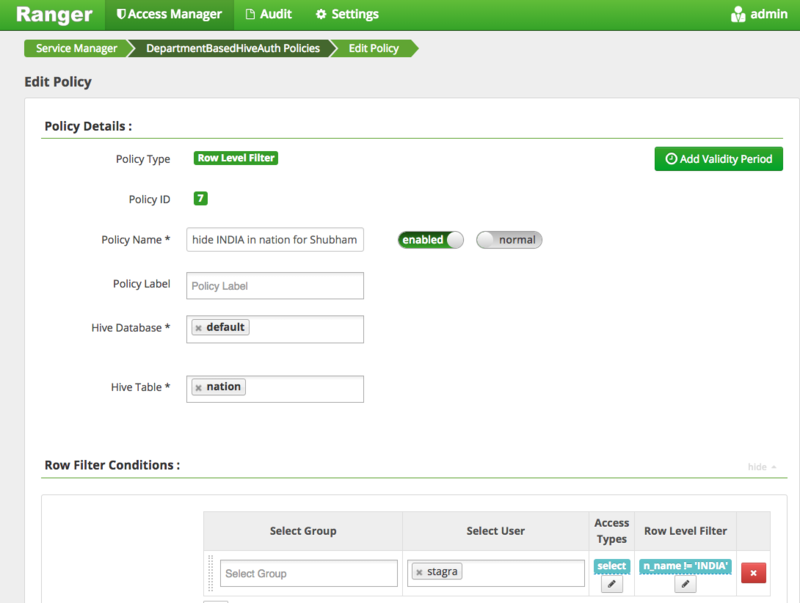 In Ranger, admins can set policies to hide certain rows from particular users or groups. Assume, for example, that an organization wants to prevent access by non-managers in the Finance department to certain details from the Salary table (empId, designation, salary) for executive staff. In this case, the admin adds all non-managers in the Finance department into a group, say finEmps, and adds a row filter on the table Salary with the filter defined as designation != 'executive'. The results of queries run by users in the finEmps group will not include any rows where the value of the designation column is executive. Click here to learn more about row-level filters in Ranger (see use case #2). 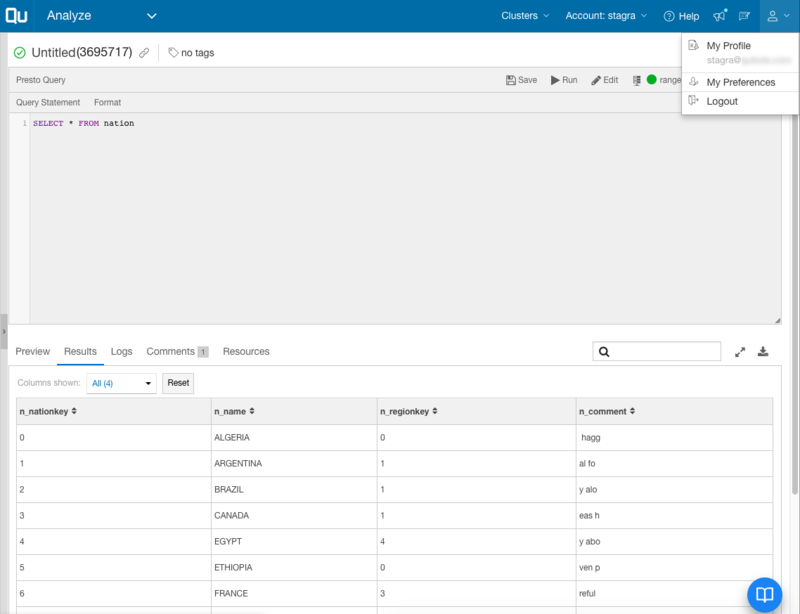 For datasets that include sensitive information, admins can configure a policy with Mask Conditions to mask the sensitive data for a particular set of users. 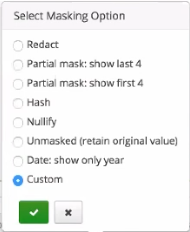 Ranger provides several options for masking data, including Redact, Hash, Nullify, Custom, and more. The Ranger plugin in QDS Presto, however, currently supports only the Custom masking option. Support for other masking policies will be available in future releases. Click here to learn more about data masking in Ranger (see use case #3). Ranger URL. This is the endpoint of the Ranger Admin that serves your authorization policies. We will use http://myRangerAdmin.myOrg.com:6080 as our sample Ranger URL. 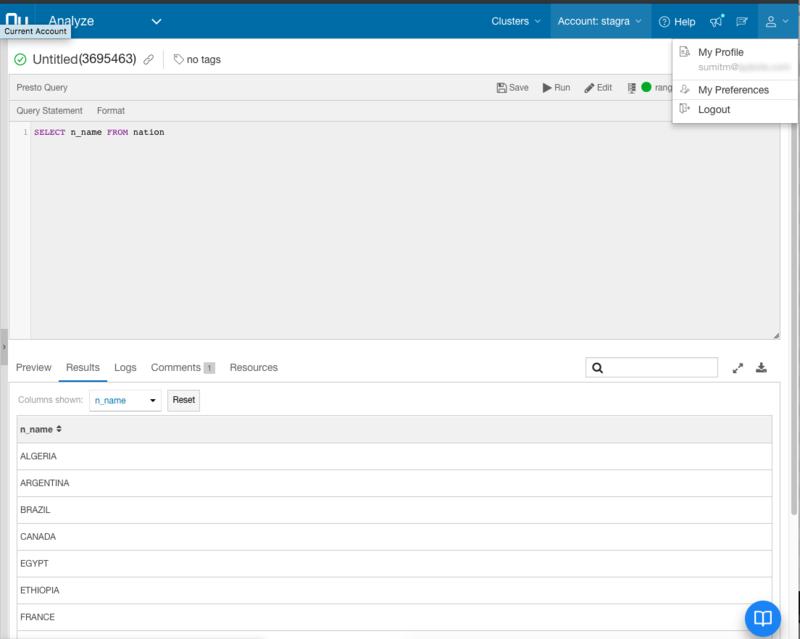 Connectivity between the Presto master instance and the Ranger Admin instance should be ensured by opening up the necessary ports. In the sample URL, for example, port 6080 is used, so the network should be configured such that the Presto master instance can communicate with port 6080 of the Ranger Admin instance. Credentials. The credentials provide access to the Ranger Admin. They are used to communicate with Ranger Admin to fetch policies and user-group information. We will use admin and password as sample credentials for the username and password, respectively. Service Name. This is the name of the service in Ranger Admin that holds the policies you want to apply to your catalog. We will use DepartmentBasedHiveAuth as our sample service name. These configurations, along with others, are provided in the configurations files as described in the following sections. 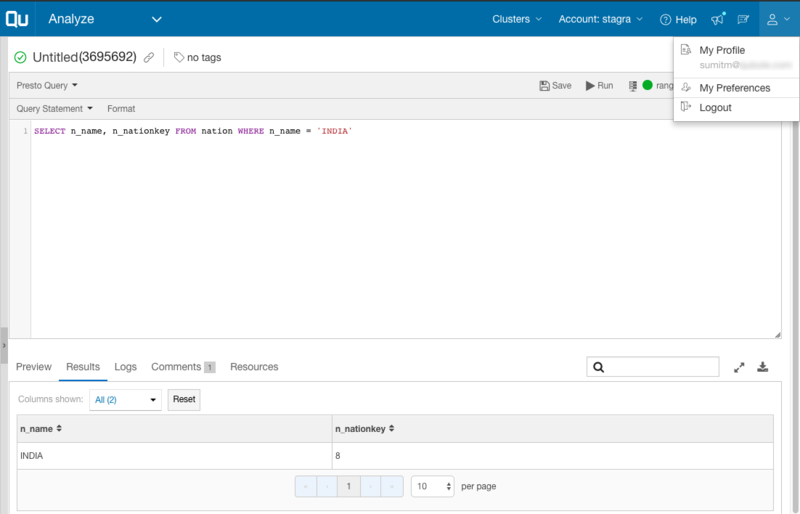 Two files must be configured for Ranger: access-control.properties and the Ranger configuration file for catalogs. This section describes both these files in detail. ranger.<Catalog>.security-config-xml: Location of the catalog-configuration XML file to use for particular catalog. ranger.<Catalog>.config-file: Location of the catalog-configuration file containing key-value pairs to use for particular catalog’s Ranger configuration. ranger.user-group-cache-expiry-ttl: This governs the refresh interval in seconds of the Users-Groups cache, which is populated with information from Ranger. The default refresh interval is 30 seconds. This file defines Ranger configurations for the catalog. There must be one such file for each catalog for which you use Ranger. This is the file whose location is configured in the access-control.properties file, as described above. 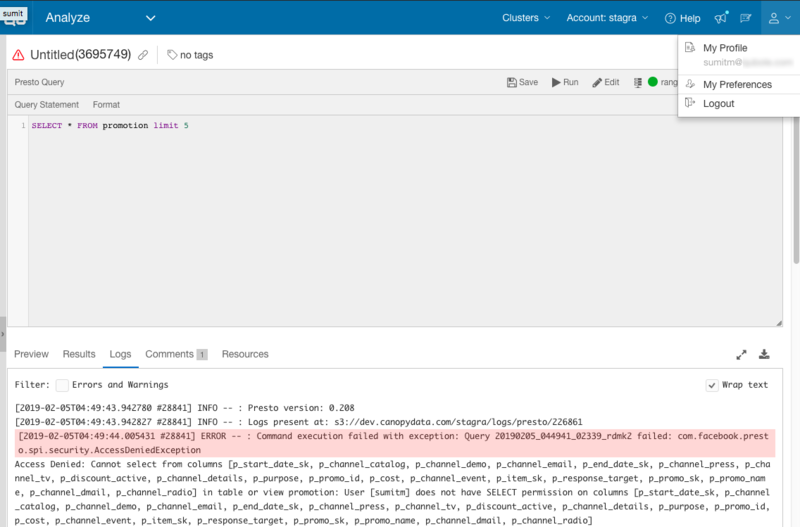 The file can either be a Hadoop configuration style XML file from your existing Hive deployment, or in key-value pairs of configName-configValue. As described in the section System Level configuration file above, either a security-config-xml or a config-file config can be used to point to the location of the Ranger configuration file. ranger.plugin.<CatalogName>.service.name: Service Name in Ranger for the catalog. ranger.plugin.<CatalogName>.policy.rest.url: Ranger endpoint from which to fetch policies. ranger.service.store.rest.url: Endpoint to fetch Users-Groups information. This would be the same as the Ranger endpoint when using Ranger as the source of User-Group information. ranger.plugin.<CatalogName>.policy.pollIntervalMs: Polling interval for policies. The default is 30000 (30 seconds). Any other Ranger client configs that have been used with your Hive installation. 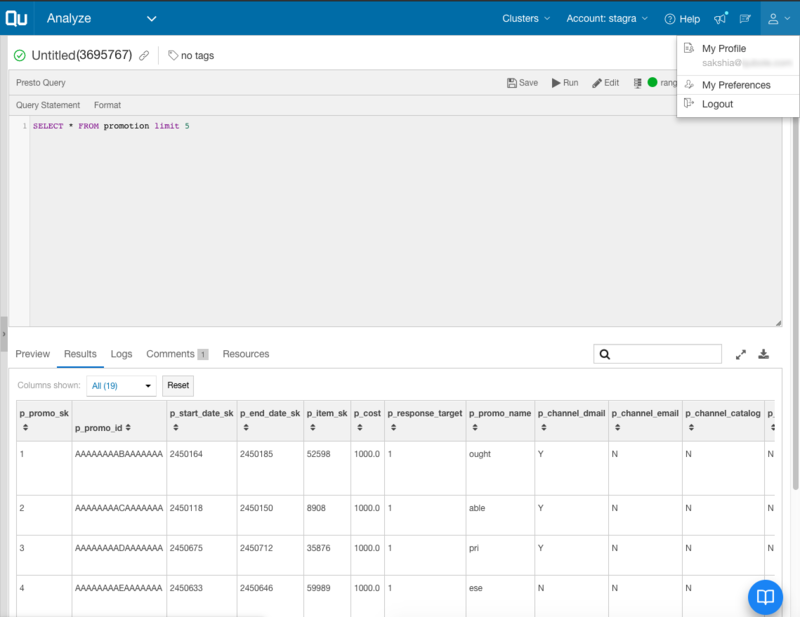 Hive tables in QDS show up under the catalog name “hive.” We will look at the Ranger configuration with “hive” as the catalog name. If you have configured your QDS Presto cluster to use a different catalog name, replace the name “hive” with your catalog name in the configs described below. 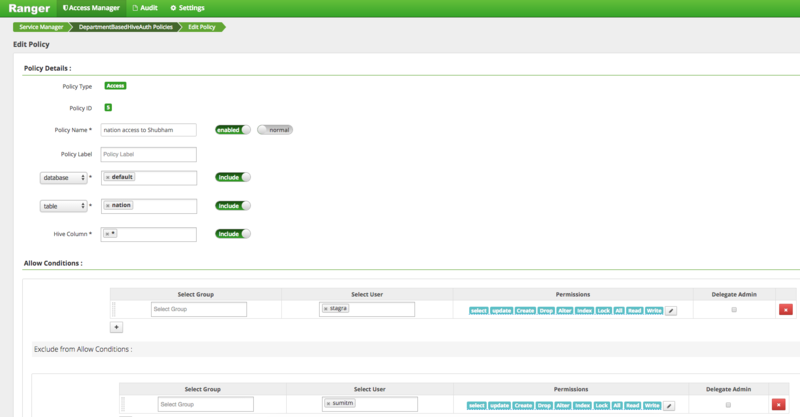 The screenshot above is from the QDS Cluster Edit page, and shows the Presto configuration overrides. 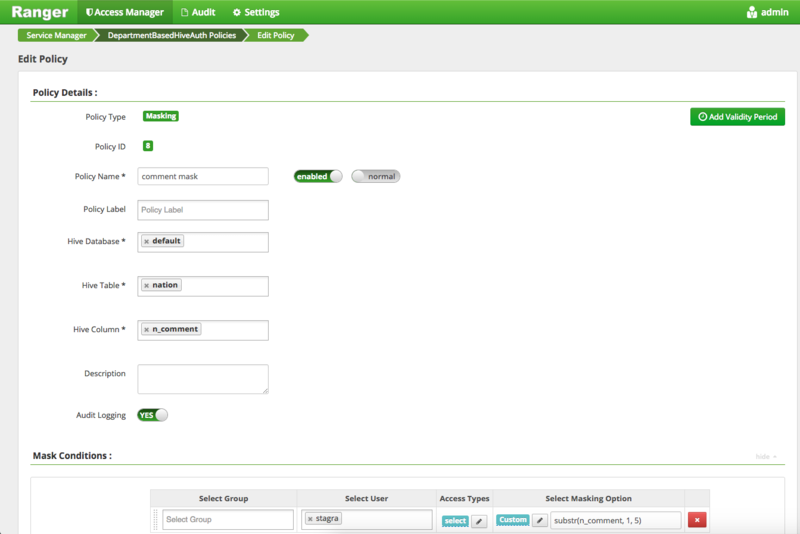 Through these configs, we have configured Presto to use ranger-access-control via access-control.properties. /usr/lib/presto/etc/hive_ranger.xml is configured as the xml based Ranger configuration file for the hive catalog. HTTPS mode of Ranger Admin is not yet supported. This will be supported in a future release. 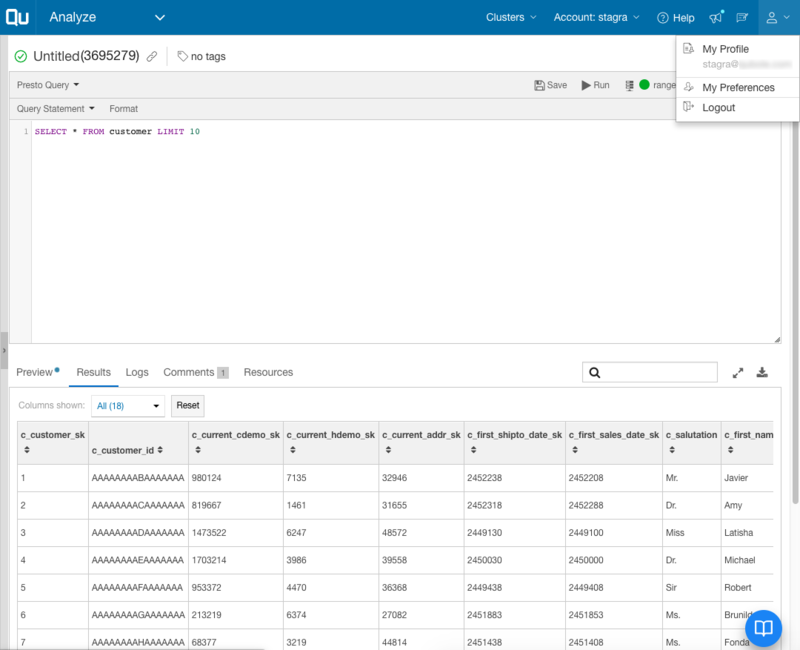 Row filters and data masking policies with non ANSI SQL constructs are not supported, and will lead to query failures. For example, Strings are delimited by single quotes in Presto, while Hive uses both double quotes and single quotes for them. If existing Hive policies are used with Presto, admins should convert any double quotes to single quotes, as supported by Presto. 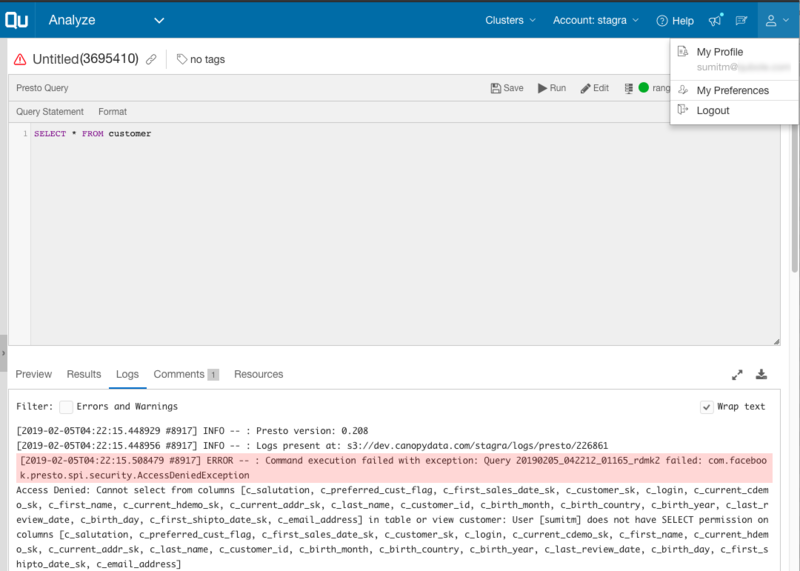 Row filters and data masking policies with functions not defined in Presto are not supported, and will lead to query failures. 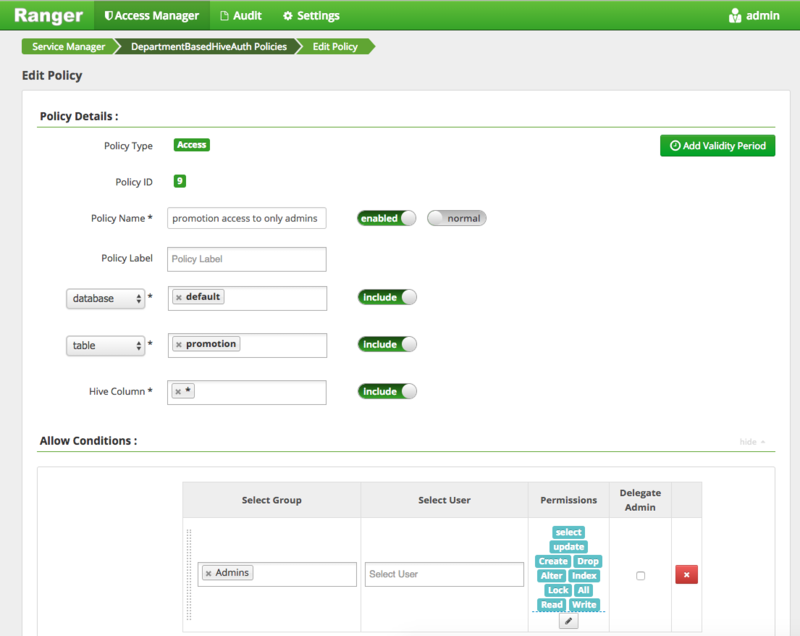 It is recommended that admins either define new policies for Presto using only functions supported by Presto or, if they want to use existing Hive policies in Presto, they write the UDFS for the functions not defined in Presto. Some SQL constructs have different semantics in Presto than in Hive. As a result, row filter policies defined for Hive might not give the same results when used in Presto. 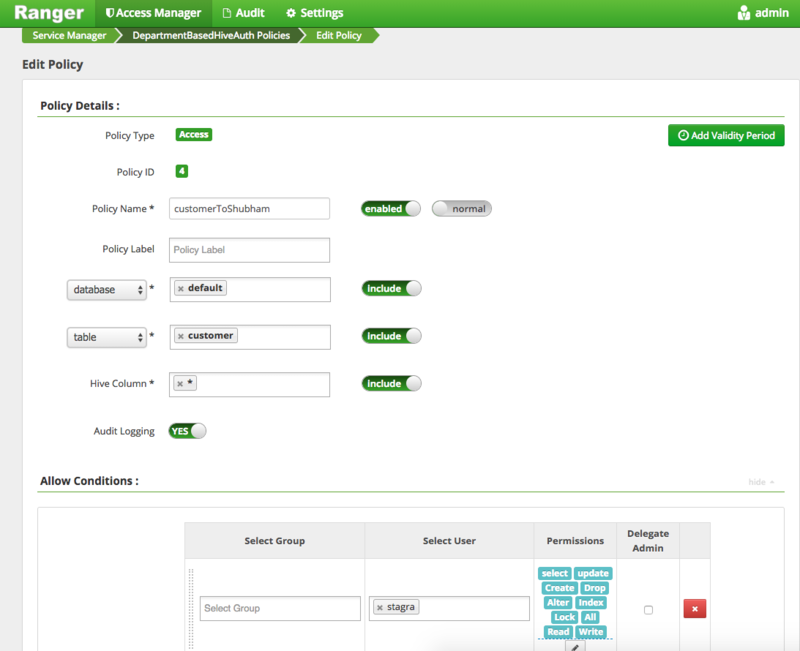 Admins are advised to either use a new policy defined for Presto, or test the existing Hive policies thoroughly before using them. We will walk through several examples of the Ranger plugin capabilities in this section. As seen above, the query by sumitm@company.com fails with an AccessDeniedException.